Think about all the time you spend on your feet - at work, on weekends, running errands, running from one place to another. Think about all of the hard work your feet put in to keep you mobile and help you get everything accomplished. Don’t your feet deserve the ... (see full details) (see specifications) #RB3602. Think about all the time you spend on your feet - at work, on weekends, running errands, running from one place to another. Think about all of the hard work your feet put in to keep you mobile and help you get everything accomplished. Don’t your feet deserve the very best? They totally do...and the Reebok DMX Flex Alloy Toe EH RB3602 Men’s Black Athletic Oxford Shoes are a top pick. These Reebok men's safety toe shoes protect, comfort, and support your steps - because your feet deserve it. Combine all of the comfort technology with some classic staples of construction and strength provided by Reebok, and you’ll start to see why these are the right men's safety toe shoes for whatever you’re doing. The outsoles are made from slip-resistant rubber with lightweight but durable tread for sure footing. There’s no exposed metal on the slip-resistant shoes for safety purposes, meaning they’re EH rated for electrical safety, and they’re also fitted with alloy toe caps that meet ASTM F2413 standards for compression and impact resistance. These alloy toe EH shoes are a unique blend of high technology and classic styling. They’re also a unique blend of running shoes and work-appropriate oxfords. They’re just plain unique. 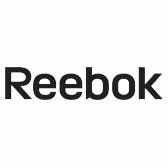 That’s because they’re made by the experts at Reebok with your comfort and mobility in mind. The shoe uppers are made from a blend of leather and mesh fabric in basic black with orange accents for a touch of style. Lace-up closures and plenty of padding on the collars and tongues make them comfortable and easy to step into (and out of), and their super lightweight construction won’t weigh you down or limit your flexibility. In other words, these are black athletic shoes that are designed to wear all day long - just as you need them to be. The real technology is hard at work inside the structure of the men's footwear. Reebok’s exclusive DMX Flex Work provides an innovative comfort system that’ll get you through the work shift with ease. Flex Work consists of a moving air component that’s embedded right inside the midsole of the design, so that each time you step, air is transferred beneath your foot, from your heel to your forefoot and back again. Each stride is cushioned and made buoyant in a way that reduces fatigue and soreness and keeps you moving with the speed you need. There’s more (of course). DMX Flex Work also provides a MemoryTech removable massaging sock-liner inside the work shoes, which means serious softness and comfort where it matters most. The DMX Flex oxford shoes are also lined with moisture-wicking nylon mesh that pulls moisture away from your feet and pushes it outward for faster evaporation. You'll have no more sweaty, smelly feet or friction blisters caused by wet spots. Perfect for the work place, whether that work place is a warehouse, a store, a construction site, or something in-between...they're perfect for the weekends, too. Perfect for after work...perfect for anywhere, any task, any situation where you can’t afford to let discomfort and fatigue get in your way. Pamper your feet a little to pay them back for everything they do for you. Give ‘em a pair of these Reebok DMX Flex Alloy Safety Toe EH RB3602 Men’s Black Athletic Slip-Resistant Oxford Shoes from Working Person's Store. Your feet will thank you - and you’ll definitely thank yourself. I would like to start by saying that I was very pleased with your products and service. But it was Dawn who made it all worth while. Without her service all of this would not have been possible. Every customer service rep. should be more like her, because the world would be much more at ease with people like herself. I have never experienced such quality service before from any other company that I have bought from such as yours. Dawn has a lot of good qualities that she can offer your company. I believe she is very valuable to you. Again I would like to thank you for your excellent service and products. Reebok Shoes: Alloy Toe EH RB3602 Men's Black Athletic DMX Flex Oxford Shoes is being added to your cart.